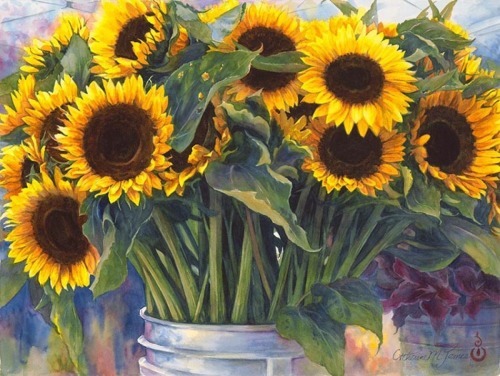 I just love the cheerfulness of sunflowers! They are summer's best smiles. A whole bucket full of them is just pure happiness! This original watercolor has SOLD.